Many celebrities appear to be perfect, but artists like J.Cole reaffirm the beauty in our imperfections. Through his music, he reminds us that we’re all human, and authenticity and transparency gives us an opportunity to grow and truly connect with other people. An overarching theme in Cole’s music is to use his pain for a purpose. From his mother’s battle with drug addiction to infidelity to poverty – he openly talks about the highs and lows of life. Cole’s vulnerability and authenticity inspire his fans to share more of themselves with the world. He shows us that we are not defined by our pain – it shapes who we are and helps us relate to others. 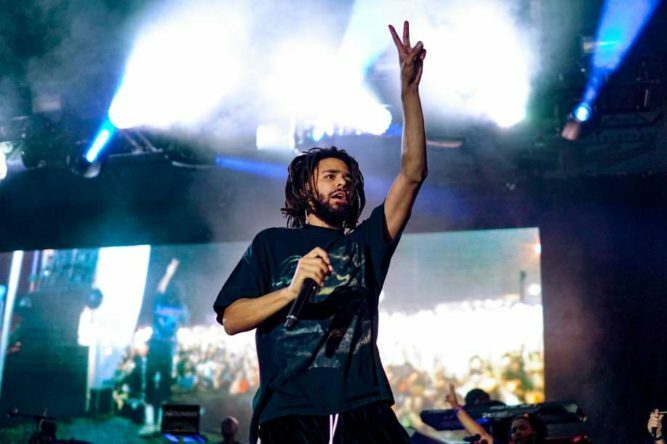 J.Cole’s third album “2014 Forest Hills Drive” went platinum without any features, but people still encourage him to broaden his approach. Cole takes pride in owning every aspect of his music and he doesn’t give in to the pressure to feature other artists on his projects. Like Cole, trust your intuition and move at your own pace. Authenticity means holding onto your values and beliefs. The trend in the industry may be to create a digital course or podcast to monetize your brand, but that may not be for you in this season. It’s ok to have an open mind to feedback from other people but stay focused on what you believe in and what matters most to you. Despite his imperfect teeth, Cole was able to surpass the level of success he envisioned for himself. He reminds us that no one is perfect and everyone has their own “crooked smile” to live with. As an influencer, you can use your imperfections to your advantage by being transparent about your journey. Openly talk about your struggles and how you’re getting through the adversity. Every post doesn’t have to seem like life is perfect — let people see the real, raw you sometimes. Through vulnerability, you build community and control your own narrative. Growing up in Fayetteville, North Carolina, Cole watched his mother deal with addiction and heartbreak. He moved to New York for college, and his first job was working as a telemarketer. It took years for him to get a record deal and grow his fan base, but all of his hard work paid off. As you continue to build your brand, enjoy your unique journey. In every life stage, there are lessons that you need to learn to prepare you for the next level and if you’re so focused on getting there, you’ll miss the beauty of the now. The glow up is sweeter when you acknowledge the darkness that helped bring out your light. This was such a good post! I love that you’ve mentioned the importance of staying true to your own vision and doing things at your own time/pace. Sometimes we see someone else’s journey and think we need to be on the same level they’re at or need to be doing what they’re doing, when we each have something special and unique to contribute. Thank you for this! Thank you for checking it out! Can’t wait to feature some of your work on the site as well!